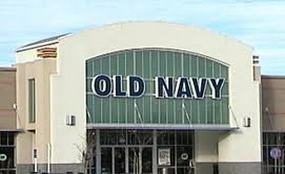 Enter to Win a $150 Old Navy Gift Card! Head over to TodaysDraw, register and enter to win a $150 Old Navy gift card! After you register (takes about 15 seconds), click on the yellow "Enter Draw" button to be entered. That's it. But the really great thing about this site is that the giveaways are only open for 24 hours, with new prizes starting everyday at 12am EST. To enter the daily giveaways, just log into the site each day and click the yellow button. The only catch is that you have to contact TodaysDraw if you see that you're the daily winner. Winners are clearly displayed on the homepage. If your name is listed, simply email them and they will take care of the rest. You can easily find their email address on their Contact Us page. I had a "this sounds too good to be true" moment so I did a little searching. Apparently, this site is owned by one of the biggest daily deal sites in Canada (don't worry, US residents are eligible to win). It's a fairly new site and while I wasn't able to get much info, I didn't find a single "scam" article or anything suggesting that they don't actually reward people these prizes. In fact, I found that they actually do in fact, give these prizes away. You can find tons of winners posting on their Facebook page thanking them for their prize, saying that they received their prize, etc. Along with that, it's great to see that the site's team interacts with their fans very frequently (like, every day, all day). They are very quick to answer questions and seem very helpful. Sounds promising to me! Click here for more info and register to win!